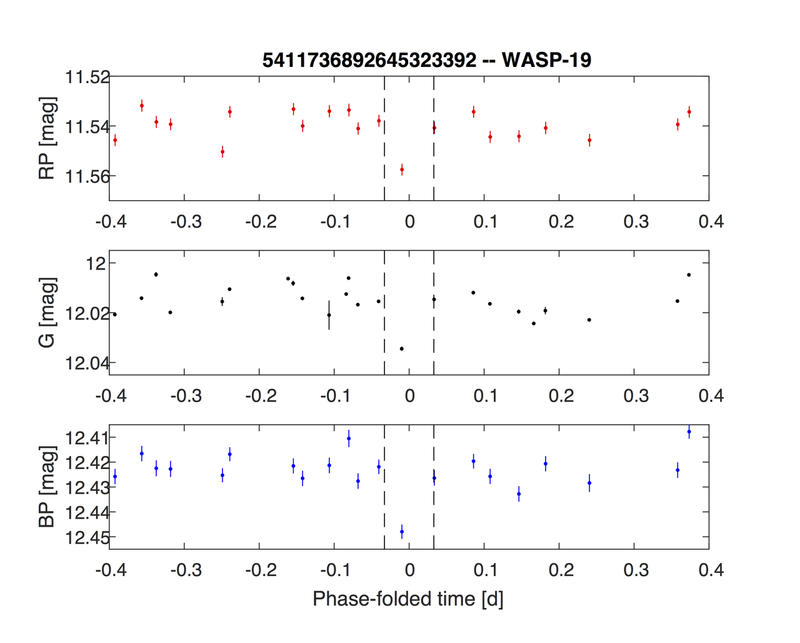 The exoplanet WASP-19b was discovered by L. Hebb and colleagues in 2009. 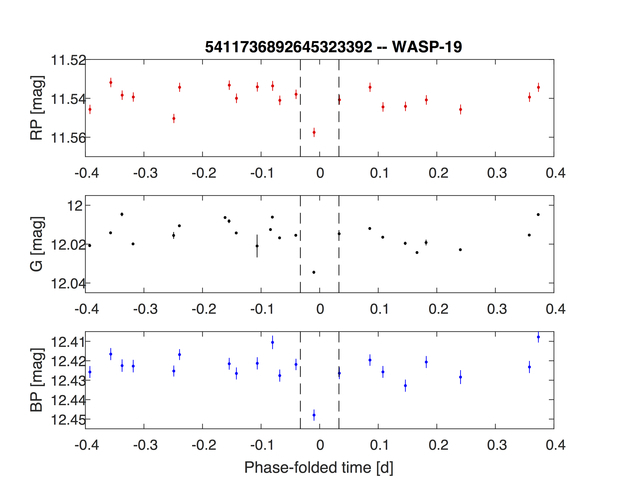 During the first year of Gaia observations the host star passed through Gaia's field of view. Out of 24 samples examined, one occured during a transit. The light curves shown are from the red photometry (RP), blue photometry (BP) and Gaia (G) bands. These light curves are folded by the known period of 0.78884 days and shifted to zero transit phase.